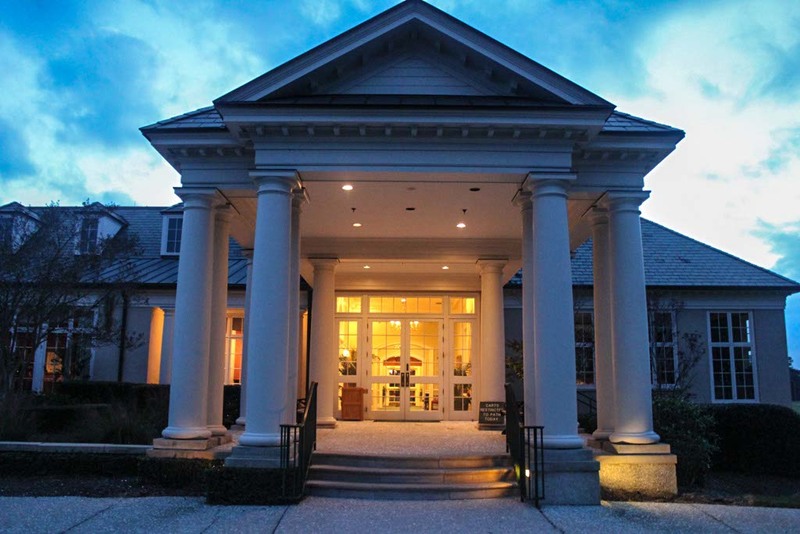 The Sanctuary at Kiawah Island Golf Resort in Charleston, South Carolina features a bounty of regional delights and mouth-watering dining options for every palate. Wanting to experience the best of both worlds, we dined at The Ocean Room, the only steakhouse in the U.S. to earn both Forbes 4 Star and AAA 4 Diamond ratings, and Cherrywood BBQ & Ale House, featuring southern food and beer at its best. Do you enjoy an unparalleled, gourmet steak complimented with award winning wine or would you prefer smoked meats and signature sauces and sides along with local and imported beers? Maybe you’d like a tour of both so you’ll be able to better decide for yourself. Kiawah Island Golf Resort’s premier restaurant, The Ocean Room, at The Sanctuary, offers an unparalleled steak house experience featuring a variety of signature dishes. The Ocean Room culinary team specializes in the preparation of locally sourced beef, seafood, poultry and produce which are prominently featured on the seasonally changing menu. We started our evening with two first plates. I chose the Lobster Bisque with Cognac Foam, Lobster, and Tarragon Gel and Darren chose the Burrata Cheese, Holy City Farms Heirloom Tomatoes, Micro Basil, Extra Virgin Olive Oil, Aged Balsamic. While my Lobster Bisque was bursting with flavor, I couldn’t stop eating Darren’s Burrata Cheese. My taste buds were whisked away to Italy and I was instantly back in Venice enjoying fine foods. Every bite reminded me of my Italian travels and I couldn’t put the fork down. Darren is usually the one eating from my plate so he didn’t say a word, except to remind me that I had the Lobster Bisque to enjoy as well. I may have preferred his Burrate, but my entree was one of the best plates of my life. My Filet Mignon was USDA Certified Angus Beef, 21 Day Wet Aged. It was matched with Seared Mushrooms and Yukon Gold Potato Puree. I learned how to order a steak and medium rare was the ideal texture. I could have cut it with my fork and non of the flavor was cooked off. I didn’t leave anything on my plate. Darren’s entree was a Dry Aged New York Strip, USDA Certified Angus Beef from Cox Farms in Florence, Alabama. He too cleaned his plate. Even at 14 oz, it was just too good to stop. Somehow, maybe it was the length of time that we spent savoring the meal, we managed to find room for dessert; thankfully, too, since it was a presentation in itself. Again, I chose wisely. The Chocolate Brownie Dome included Chocolate Sorbet, Brandied Cherries, Pecans, and Hot Butterscotch. The Dome arrived without the Hot Butterscotch and the waiter slowly poured it over the chocolate, melting it and revealing the brownie below. It was almost too perfect to eat… almost. Darren’s Banana Split (Banana and Strawberry Ice Creams, Brandied Cherries, Milk Chocolate Chantilly) was Athena’s pick of the evening. She happily shared his bananas and ice cream yet we wondered why she wasn’t ready for bed when we returned. Do you think the dessert had anything to do with it? I’d say it was a good guess. Featuring succulent meats smoked daily in-house, signature sauces & sides, and over 60 local and imported beers, Cherrywood BBQ and Ale House was our second evening dining stop at The Sanctuary. Don’t judge our hearty portioned entree choices; we wanted to share the best with you. Since everything is scrumptious, we needed to taste it all. Our plates included 18-hour Smoked Beef Brisket, Herb Brined, Oak and Hickory Smoked Free Range Chicken, Maple Chipotle Smoked St. Louis-Style Ribs, and Pulled Pork Shoulder. As if that wasn’t enough for a family reunion already, we added Four Cheese Mac and Cast Iron Cornbread as specialty sides. Finishing off the evening in southern style, we shared an Apple Crumble dessert coupled with Cinnamon Ice Cream. You’d think that I would be stuffed just looking at the photos again but it just makes me want to go back to The Sanctuary for more. Are you more of the Filet Mignon or smoked meats kind of eater? Which foods made your mouth water? Next time, I’m going to start with the desserts first. The Apple Crumble makes me want to drive the 3.5 hours back to the resort just for another taste. Good gracious, and now i’m supposed to be satisfied eating turkey and stuffing after seeing all this? I’m afraid you’ve ruined my Thanksgiving with this scrumptious display.